January 8, 2015 – Now that the holiday season is over, better-for-you meal options will help you stick to your New Year’s resolutions. From muffins and antipasto salad to croquette and stuffed chicken, these gluten-free recipes from the ALDI Test Kitchen will leave you satisfied and feeling better than ever. 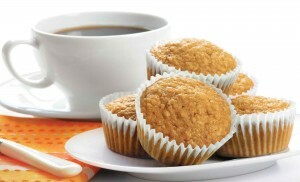 Start your day with the guilt-free goodness of these muffins. Unexpected ingredients like mashed banana, orange juice and slivered almonds combine for a deliciously satisfying morning meal. 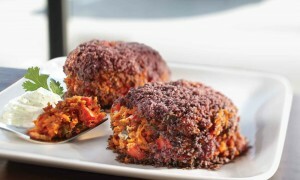 Enjoy the mouthwatering taste of a croquette in a better-for-you way with this baked version! This gluten-free option comes with the choice between a candied watermelon rind or a cilantro cream to accompany this dish. 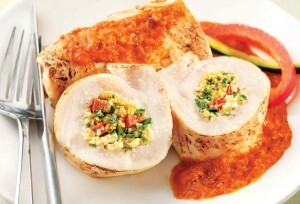 There’s nothing better than cutting into a juicy piece of chicken only to find it stuffed with fresh, savory ingredients. This dish brings all the flavor with both its stuffing and sauce and will definitely be a crowd-pleaser at your next family dinner. Thank you so much for sharing gluten free posts on your site. My family discovered your gluten free grocery options last year. Now, we drive 90 minutes to the nearest Aldi’s once a month to purchase all of our groceries. We love the selection and the prices. Thank you again! We look forward to the possibility of more gluten free items in the future! I appreciate that ALDI stocks so many gluten free items and was surprised at first when I had to start eating a gluten free diet.